It's wedding season! I haven't attended any weddings yet this year, but last year's wedding season was a big one for me. I went to SIX. They were beautiful. I loved each of them. I felt really blessed to attend because each of those weddings was an authentic, soulful expression of the couple themselves and their community. None of these couples made concessions to dull down their authenticity for the sake of someone else. They did what they wanted to do: got married outside, called in the directions, let the kids play loudly and joyfully off to the side during the ceremony, told guests to wear whatever they wanted, had a camping wedding, made it potluck, etc. Each ceremony was uniquely them. Which, I realized, was a gift to me, which I in turn get to give back to them. See, a lot of couples give in to the pressures and expectations of their families about how their wedding is supposed to go. They get married under their parent's faith, invite people they don't want there, etc. I'm sure you've been to those weddings. I don't want to judge them because I know how intense those family pressures can be. But because each of the weddings I attended last year was truly authentic, that means it was an expression of the unique, never-before-created energy or flavor that naturally arises when these two people come together. We as guests (their community) got to witness and really see them. Coupleship is a community affair. That's the gift to me---that I got to really witness and drink in the beauty of what gets created in their union that wasn't fully possible just with one of them. For one couple, I got that together, they're messengers of love, dedicated to the heart. For another, I saw how they were all about play and fun, constantly laughing together. And for yet another, their union was an offering to Soul, for their togetherness to be used to serve the Holy. What a gift to me! Each of these things occurred to me as really good medicine. Important reminders and a deep lessons about the many faces of healthy relationship. I felt so nourished by each of these ceremonies. And now, as a community member, as someone who witnessed what these couples are about together, I have an important role. This is where I get to give back. I get to help remind them of who they are when they forget. I get to remember the essence of them and therefore help invoke it when it seems it's shrunk away or worn out. And I get to go to them when I need that medicine so that they get the opportunity to be in service with their unique teaching. Relationships are hard. And I believe that they all need the support of community. Ironically, the couple can't do it alone! Married or not, it's healthy to let your relationship be seen by your community---the beautiful parts worth celebrating and the particular struggles you have together. Let them see the beauty and the muck and be willing to look behind the curtain of other's relationships too. Sit with other couples and have honest conversations about where you struggle together and where you're proud of yourselves. It can be such a relief to realize that other couples struggle too! And to get good mirroring and support about what they see in you two together. And please, leave me a comment below. 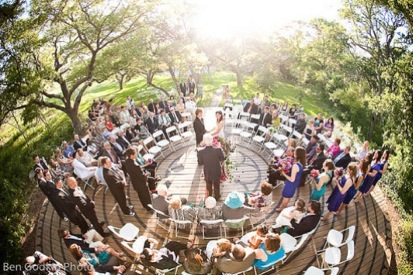 Have you been to weddings like the ones I describe? What did they do that inspired you? Has your coupleship benefitted from community? Tell me about it below. And I'd love it if you'd share this on Facebook. Especially with those about to be married or those you've celebrated their weddings with. P.S. If you dig this post, don't miss others like it!